The Faculty of Science and Technology has hosted Italian experts from the International Centre for Theoretical Physics in an effort to motivate and encourage students to take up careers in earth sciences, climatology and seismology. 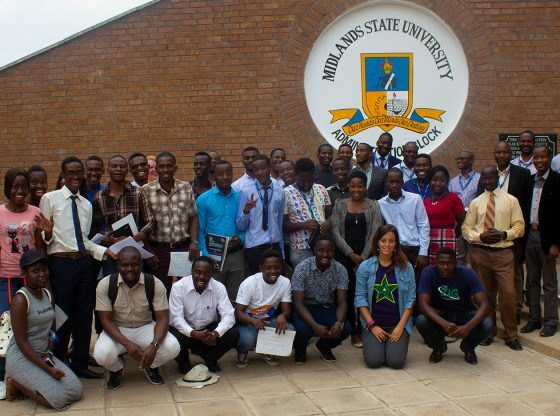 The experts delivered various presentations at a one-day “ICTP Physics without Frontiers Masterclass” held on the 1st of November, 2018 at the Gweru Main Campus. The delegation was comprised of two Italian experts whose presentations focused on Climate and Climate Change, while the other two were Zimbabweans, with one based in Finland and the other working locally at the Meteorological Services Department as a Meteorologist. 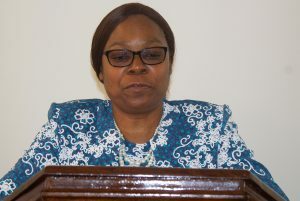 Officially opening the one day workshop, Acting Pro Vice-Chancellor Research and Academic Affairs, Professor Doreen Z. Moyo said the institution is constantly reviewing its curricular and research focus in order to address the challenges facing the nation as well as tackle issues that are of global significance in the field of science. She added that Earth Science research needs to be developed and sustained in order to address some of the growing challenges that are imposed on the country and the region by climate change. The workshop also included presentations that focused on Seismology and Seismic Data Analysis as well as Aerosol-Cloud Interactions. It was attended by 30 final year Applied Physics students together with their lecturers.